Almost two years ago in April 2012, we published our Top 5 Storytelling Apps, our pick of the best desktop and mobile apps to help storytellers share their narratives. In today’s digital world, storytelling and technology have become intrinsically linked – both feeding each other to make storytelling more engaging, more fitting to the demands and habits of audiences and offering never-before-seen avenues of interactivity. Perhaps once the dream of journalism professors, multimedia storytelling is gaining momentum. Whether it’s journalists, filmmakers, documentarists, marketeers or brands – the importance of good storytelling is leading more people to abandon walls of text and a single media approach and instead adopt range of different media to draw in their audiences. Storytelling with multiple media, often a combination of written text, photography and videos (but can encompass all kinds of media – from illustrated graphic novels, to interactive visualized data) make for a much more captivating and engaging narrative. As more and more people head out to craft their own multimedia stories, so we’ve seen more app and web developers rise to the challenge of making this easier and quicker to achieve. Some of the new storytelling tools have taken the form of desktop and HTML 5 web-based tools, while others the form of specially-developed applications for iOS and Android devices. Some of them are aimed at casual storytellers, others for those who have devoted their lives to it. One thing most of them have in common, is a thorough embrace of the multimedia or interactive approach. So without further ado, let’s take a look at Submarine Channel’s Top 5 Storytelling Tools. As always, if you have your own suggestions, let us know here or via Twitter. 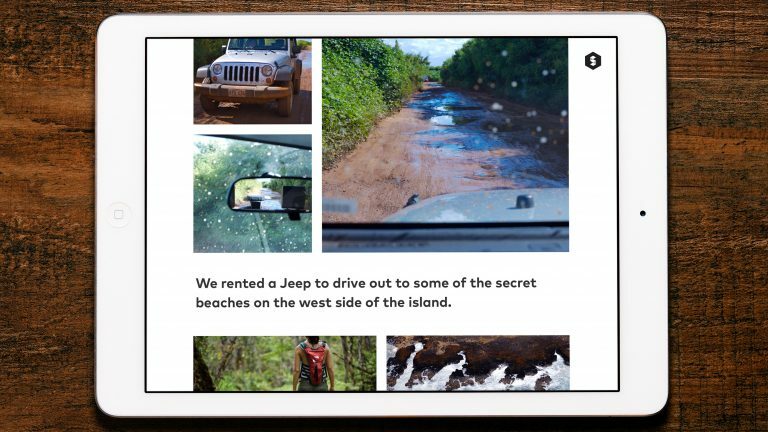 Produced by a team led by former-Apple designer Mark Kawano, Storehouse is an App that turns your iPad into a visual storytelling tool with which you can share your life experiences through a blend of text and multimedia content. Launched last month, Storehouse was envisaged as a way for all of us to turn our daily iPhone snaps and journal entries into engaging, multimedia narratives. What makes this app stand out is the UI and its gorgeous, intuitive design (Storehouse is surely one of the prettiest storytelling tools we’ve ever seen), all of which is perhaps little surprise considering Kawano’s background. 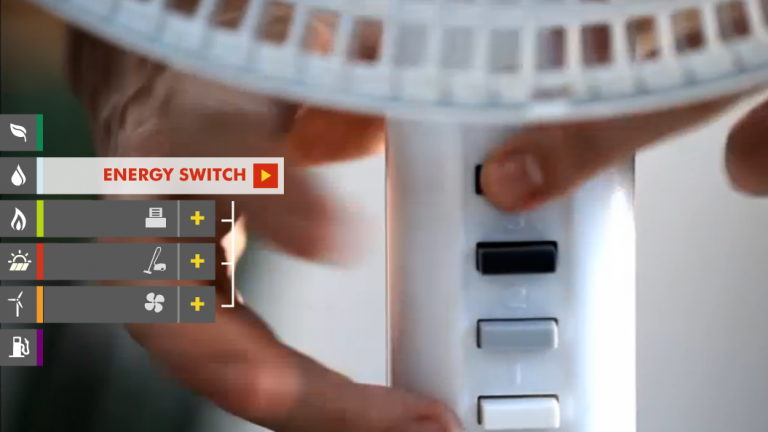 What’s more the interface is easy-to-use and results can be produced quickly. There are already some great examples of what Storehouse is capable of and if you want to try it yourself, it can be downloaded for free from the iTunes App Store. 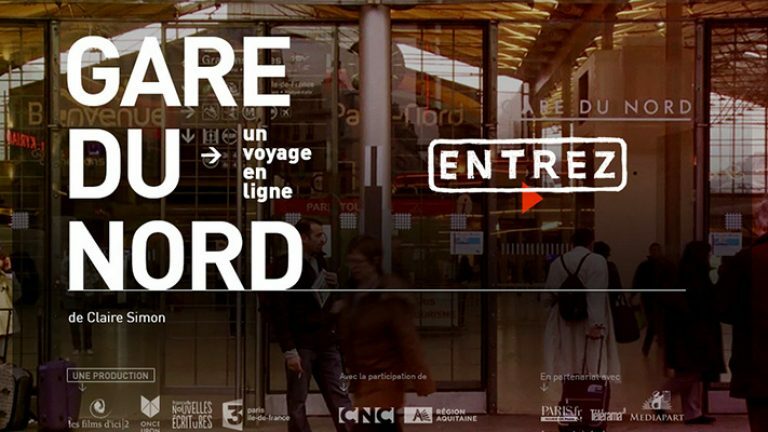 The Racontr team have already released some tantalizing examples of what it’s capable of, such as this one; Gare du Nord, an immersive journey through Europe’s biggest train station. Featuring multimedia and a parallax design, it allows you to scroll down to reach lower levels and maybe stop to watch some videos about the people roaming the station. Equally interesting is their One Year of Scrollitelling feature: also created with Racontr it takes a look at some of 2013’s most noteworthy examples of scrolling, storytelling features – something we also explored in our Top 5 Snowfall-style Storytelling feature. Racontr was unveiled at the Tribeca Hacks event last December and although not yet released is currently about to enter beta phase. Definitely one to keep an eye on. If you’re familiar with the rise of interactive music videos, then there’s a good chance are you may already have seen this storytelling tool in action. The viral interactive music videos for last year’s Bob Dylan’s Like A Rolling Stone or Chairlift’s Met Before were both made with Interlude Treehouse. Founded by Yoni Bloch and Tal Zubalsky, the Tel Aviv-based Interlude is a digital media company that designs, develops and markets interactive video technology. Treehouse, is a web-based HTML5 web app they have developed that’s designed to allow anyone to tell their stories in the form of interactive video experiences. One of Treehouse’s boons is surely it’s ease-of-use; with its drag and drop interface, within a few hours users can create an interactive video experience that tells their story and allows users to explore the outcomes of different choices and decisions. In fact, this year sees Interlude team up with the Tribeca Film Festival by inviting filmmakers to re-imagine storytelling for the digital age by creating an interactive music film for Damon Albarn, Aloe Blacc or Ellie Goulding. If you want to find more about the Bob Dylan video – as produced with Treehouse – head on over on 2Pause! 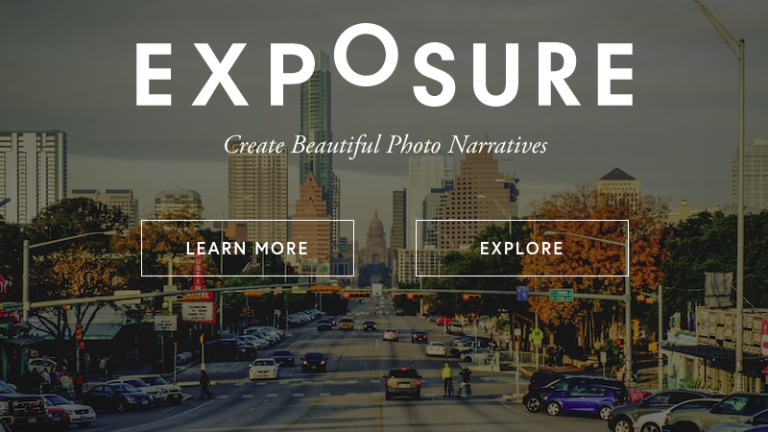 Primarily aimed at photographers, Exposure is for photographers who are looking to publish their photographs as part of a more meaningful narrative. In many ways, Exposure is reminiscent of Storehouse but in a desktop format; just like Storehouse the emphasis is on eye-catching, big-impact photographs which drive the narrative. And like Storehouse, it’s also very pretty. Exposure’s Post Editor works by allowing you to drag and drop photographs into your browsers and then add various texts in between the photos. The result is an attractive blend of text narratives and photographs that are almost reminiscent of Medium – the blog publishing platform launched by Twitter founder Ev Williams. In the late ’90s, Robert Tatsumi and Jonathan Gay created Futuresplash Animator, a vector-based animator editor that would later go on to become Flash. The pair were joined by Gary Grossman, Peter Santangeli and Peter Goldie, and together they made software history. Having created one of the world’s most famous pieces of software, the quintet teamed up again in to launch Explory, a Kickstarter-funded iOS storytelling App. While not as visually attractive as Storehouse or Exposure, Explory is simple, well designed and makes turning photos and videos — (together with music, narration and text if desired) into compelling narratives. With Apps like Snapchat, Vine and Instragram Video on the rise, Explory offers a nice alternative that seeks to turn a variety of media into something longer and more engaging. Update: also noteworthy storytelling apps are Steller and Pixotale.